Here’s a helpful segment on learning to tune your harp by ear. We shot it inclusion in my DVD, Harp Care with Steve Moss, but it didn’t end up fitting on the final edit, so I’ve made it available on YouTube. Being able to tune your harp at least partly by ear is a good skill to develop if you haven’t done so already. 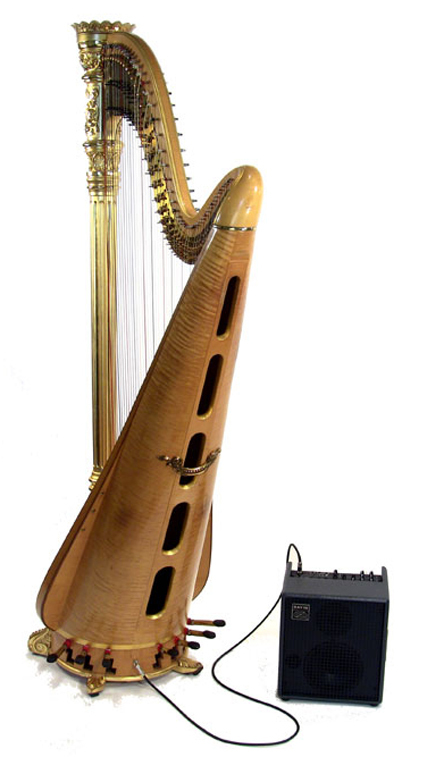 In certain instances, your electronic tuner won’t be much help in tuning your harp. At the extreme high and low registers of a large concert harp, the tuner doesn’t reliably register the notes you’re tuning, and it can be nearly impossible to tune these strings by tuner alone. Also, once you’ve had some practice at it, touching up a string or two by ear is a lot faster than getting out and switching on your tuner every time something doesn’t sound right. You do not need to have perfect pitch to tune by ear. You will always start with some kind of reference note. In this video, I focus on tuning one string by comparing it to one an octave above it. In other instances, you might ask another musician in in the orchestra or practice room to give you a note to match your harp to. You can also play a note on the piano if one is handy. The ability to tune by ear is the mark of a true musician. It is an excellent way to train your ear. With practice, you’ll be able to tell if something is amiss with your harp’s tuning and touch it up without the hassle of resorting to a tuner. To complement my new DVD, “Harp Care with Steve Moss,” I will begin offering some of the cleaning and maintenance supplies I recommend in the video. 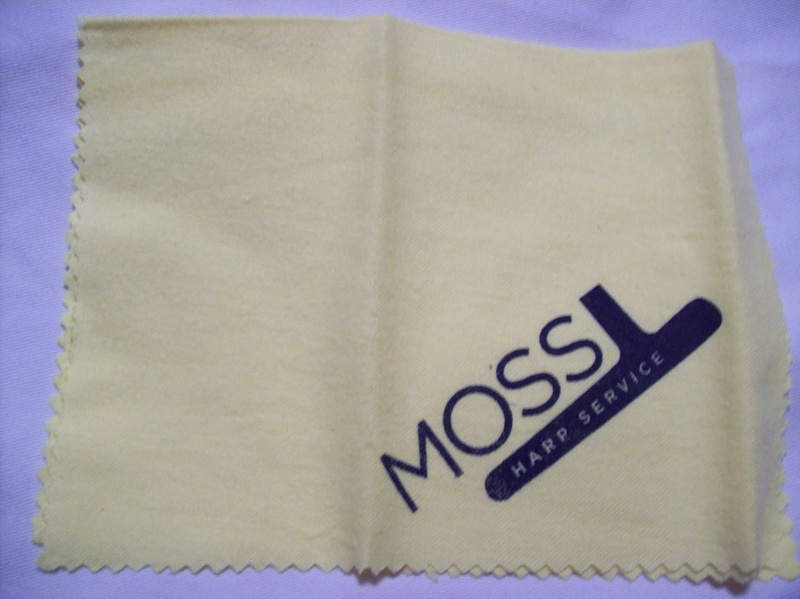 First up, the new Moss Harp Service polishing cloth. These premium double-napped cotton flannel cloths are great for dusting and cleaning your harp, or any other musical instrument or wooden surface. Buy one for yourself, or as a gift for that harpist on your holiday list. Visit our store to pick one up. While you’re there, check out the DVD.